NASHVILLE, TN — Hundreds of Tennesseans from across the political spectrum, alarmed by the U.S. government’s announced withdrawal from the Paris agreement on climate and failure to act to protect the climate and advance justice, descended on Sally Beaman Park today to ask Governor Haslam and federal lawmakers to commit to meet the goals of the Paris climate agreement and bring clean energy jobs, cleaner air, improved health, and greater justice to Tennessee. December 9 is the two-year anniversary of the Paris climate agreement, which set goals to reduce climate change causing carbon emissions. “Failure to protect the climate puts at risk the very existence of the human race and immediate steps must be taken to ensure the survival of the people and all other life on Mother Earth,” said Albert Bender, spokesperson for the American Indian Coalition. 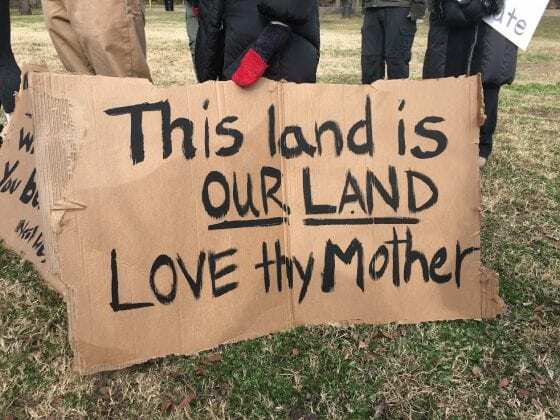 The U.S. and Tennessee governments should take a lesson from the Indigenous peoples of the world in safeguarding the existence of all life on this earth,” said Bender. 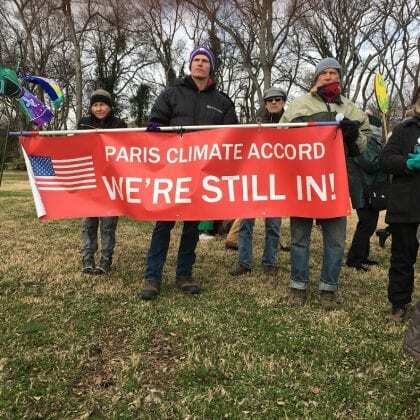 Since President Trump announced that the United States would withdraw from the Paris agreement last June, thousands of U.S. businesses, over 200 local governments, and 15 states have pledged to meet the goals in the Paris agreement. While Mayor Barry and Tennessee’s three other major metro mayors are among those that have made that pledge, neither Governor Haslam nor federal lawmakers have committed to meet the Paris agreement goals. “Governor Haslam needs to step up to protect Tennesseans and to make sure our state does its part to minimize the suffering that climate change is already causing in the U.S. and around the world, especially for our most vulnerable fellow humans,” said Chris Lunghino, Founder and President of Community Sustainability USA, Inc. We call on Governor Haslam to join the U.S. 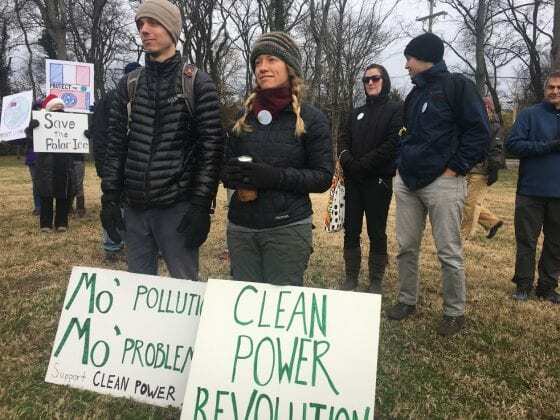 Climate Alliance and lead Tennessee beyond fossil fuels to a 100% renewable energy economy,” said Lunghino. The march kicked off with a rally, where representatives from environmental, education, and social justice organizations spoke about the impact that climate change is already having in Tennessee and around the world. They called for Governor Haslam and our federal lawmakers to commit to the goals of the Paris climate agreement to bring new clean energy jobs, cleaner air, improved health, and greater justice to Tennessee and beyond. Four passionate sustainability-messaged musical performances further inspired the crowd. 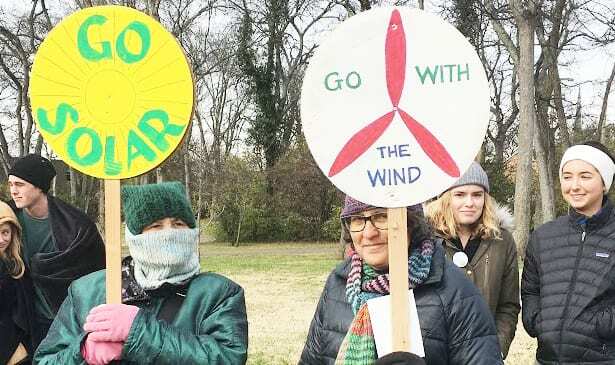 “The robust, diverse turnout for today’s march on such a cold day reflects the inclusive climate action and justice movement that is getting stronger every day for our families, for every member of our communities, and our planet. 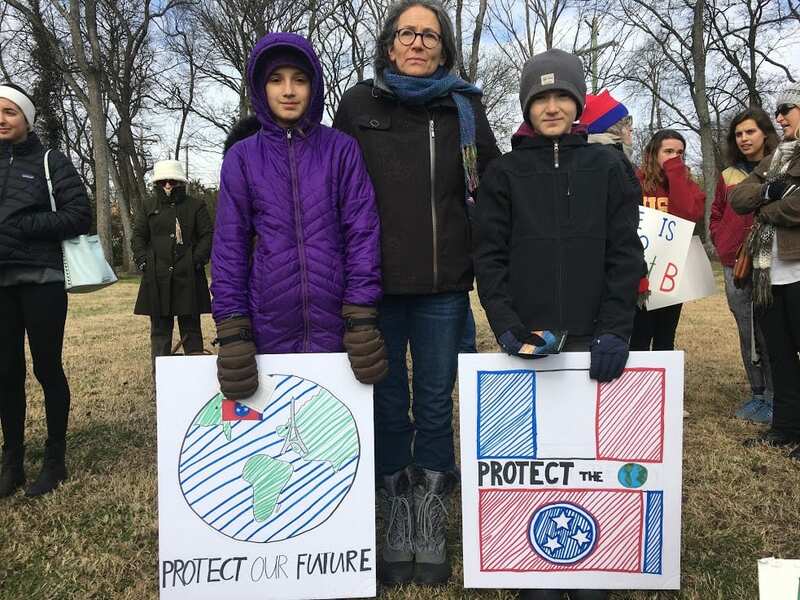 Mass movements cause major change that is necessary, so we need every voice and are extremely grateful for those that raised theirs today,” said Ita Hardesty-Mason, lead organizer of today’s march for Climate Nashville. While climate change affects everyone, the people who have least to do with causing the problem suffer disproportionately from its negative impacts, including low-income families and communities of color across the United States. A recent study concludes that unmitigated, climate change will make the United States poorer and even more unequal. And Tennessee and other Southern states, which tend to be poor and hot already, will lose the most, with economic opportunity traveling northward and westward. 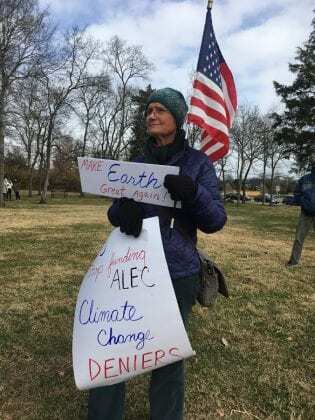 Marchers came bearing homemade signs highlighting that climate change is not a partisan issue but a health issue, a justice issue, an environmental issue, and an economic issue. Climate Nashville is a groundbreaking coalition of faith based, social justice, environmental, and business organizations that is leading the local charge to move our region beyond fossil fuels toward a 100% renewable energy economy, reduce greenhouse gas emissions and other air pollution, and ensure climate justice.